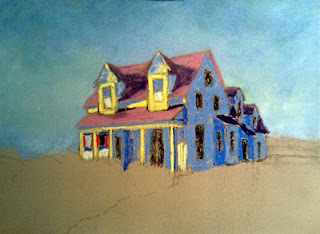 I took a few pictures along the way as I painted this one, so decided that again I would post a series showing how the painting developed. Here I have basicaly finished the sky, but began to lay in some colors in the farm house as a sort of underpainting - with bright and strong colors. Note that you can also make out quite a bit of my underlying sketch also. Some people do initial drawings that are so detailed they are almost works of art in and of themselves! 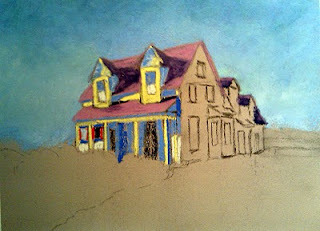 But drawing is not my strongest suit, and I love the bright colors of pastels. So my intial drawings tend to be very simple, just simple charcoal lines. 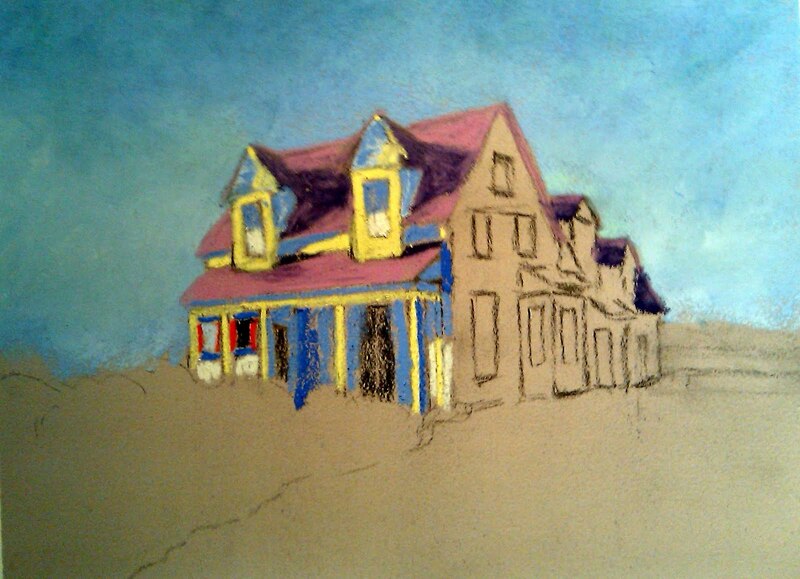 Now I have also filled in some underpainting colors on the side of the house in addition to the front. Starting here to layer more colors on top of the underpainting, to get closer to the actual colors I'm hoping for in the finish. 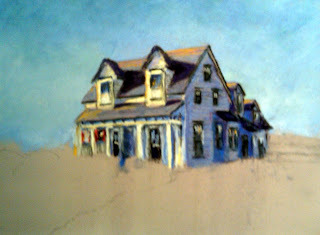 The house is pretty close to the finish I want for it at this point, so now beginning to lay in some lights, darks, and strong colors for the grasses and vegetation around the house. Mostly done now. 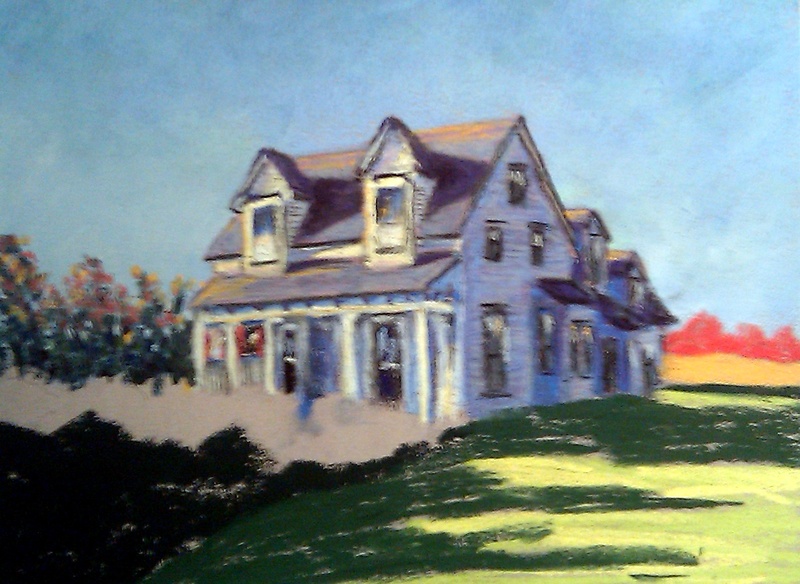 After this I'll just subdue the colors in some of the vegetation other than directly in front of the house. 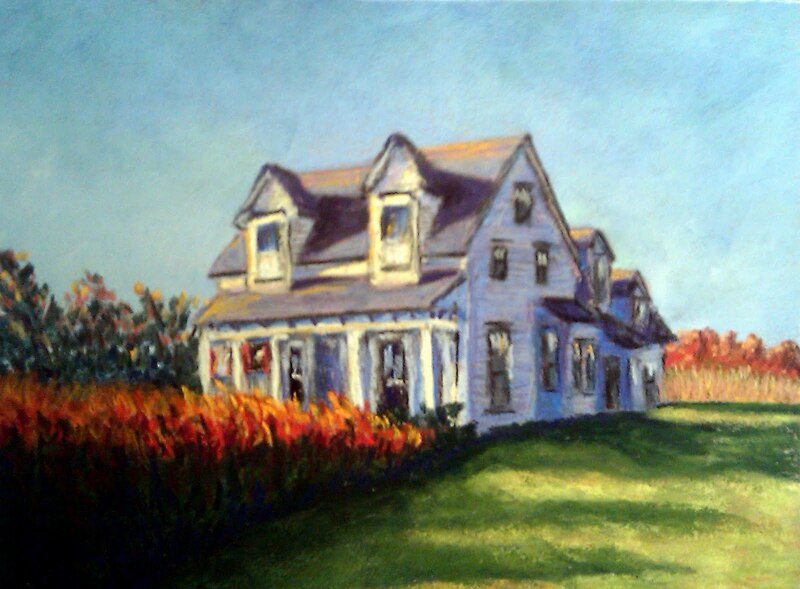 I want the front of the farmhouse, and the vegetation right in front of that, with it's bright autumn colors, to be the primary focal point in the painting. After this one I just made the changes I mentioned above, to finish with the painting in the next blog post.